Fr. Innocent Smith, O.P., is a Dominican Friar of the Province of St Joseph. Born in California and raised in Indiana, he attend St Gregory’s Academy and the University of Notre Dame before entering the Order of Preachers in 2008. He received an S.T.L. 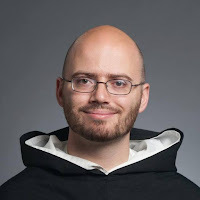 in 2015 at the Dominican House of Studies in Washington, D.C., writing a thesis on the liturgical theology of Thomas Aquinas. At present he is assigned to the Priory of St Vincent Ferrer in New York City, where he serves as parochial vicar at the Parish of St Vincent Ferrer and St Catherine of Siena. The Catholic Artists Society seeks to encourage the ongoing artistic and spiritual development of artists and media professionals, so that their work may more perfectly reflect God’s glory, enriching and ennobling men and women, our society, and our culture.